A Pine Lawn police officer pulled over a car for a wanted person alert. Christopher Jones had a rental car past its due date which is considered a stolen vehicle. At that point, Christopher took off in his vehicle. The officer pursued the suspect who crashed on Interstate 170 at the 70 interchange and then took off on foot. When the officer caught Christopher, he tased him three times and tried to put him in handcuffs. 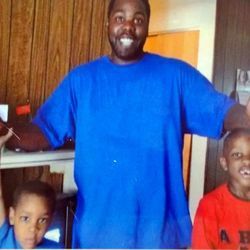 Allegedly fearing for his life, the officer shot and killed Christopher.